No Armenian cultural organization can achieve its goals without having a literary committee to raise awareness about the Armenian culture. Consequently, the Armenian Youth Association of California has had a literary committee working hand in hand with the Board of Directors from the early days of the establishment of the Association. The Cultural & literary committee members are appointed by the Board from people mainly interested in literature, art, history, etc. and they take upon themselves the responsibility of raising the general awareness of the members and the general public about Armenian culture, history and language by a organizing cultural events such as lectures, seminars, educational evenings, art exhibits, music and dance shows etc. This committee is also responsible for preparing the various informational literature that is sent to the members, which includes the various flyers and the Association’s quarterly publication “Lradoo” (more info) which the editorial staff (subcommittee of the Cultural & Literary committee) prepares & publishes for the Association’s members. 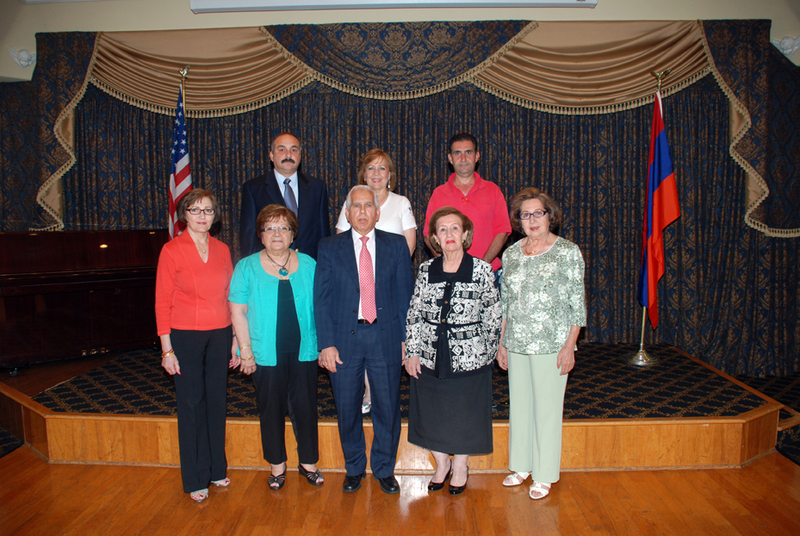 Every year, the committee organizes an Armenian Genocide commemorative evening on April 24, and in October (being Armenian cultural month) the committee organizes a cultural evening as a means of enhancing Armenian cultural awareness amongst the members and the general public. The committee also invites well-known scholars, academics and artists to the Association to lecture on various subjects and have exhibitions of their artistic talents. Of the people invited to appear at the Association are Professor Stephan Astourian (Historian) from the University of California at Berkeley, Professor Bert Vaux (Linguist) from Harvard University, Pianist Beatrice Ohanessian from Minneapolis, Minnesota and others. Meetings of the committee are held every week to discuss preparations for upcoming events that are undertaken by the committee and examine the progress made on issues such as publication of the Association’s quarterly magazine “Lradoo” and printing of the various fliers that are sent to the members.